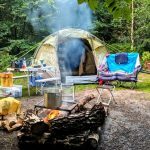 Weekend Shortcuts are complete guides to weekends away, written to help you enjoy a perfect short break without needing to do any additional research. 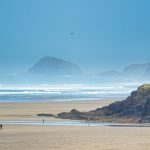 If a weekend in Wales isn’t for you, gorge yourself on my weekend guide to Devon for foodies or slope off to read Cortina, Italy for non-skiers – or simply scroll down for a in-depth weekend guide to shopping and culture in the Welsh Capital. 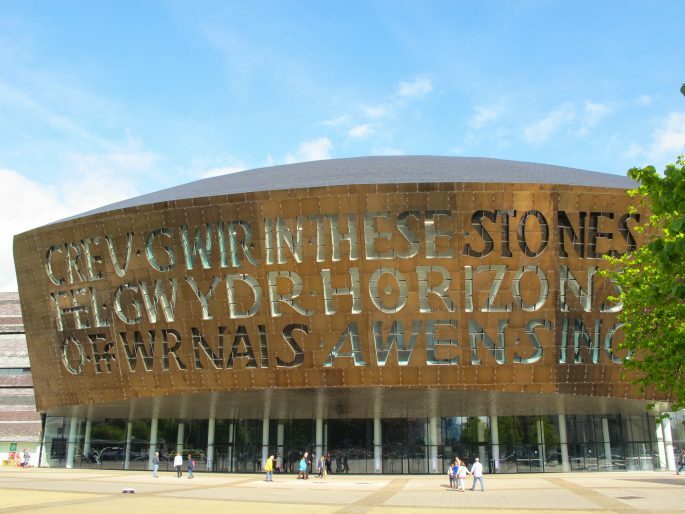 This is an easy 2-night itinerary filled with art, museums, boutiques and of course tasty treats (hello Welsh cakes!) 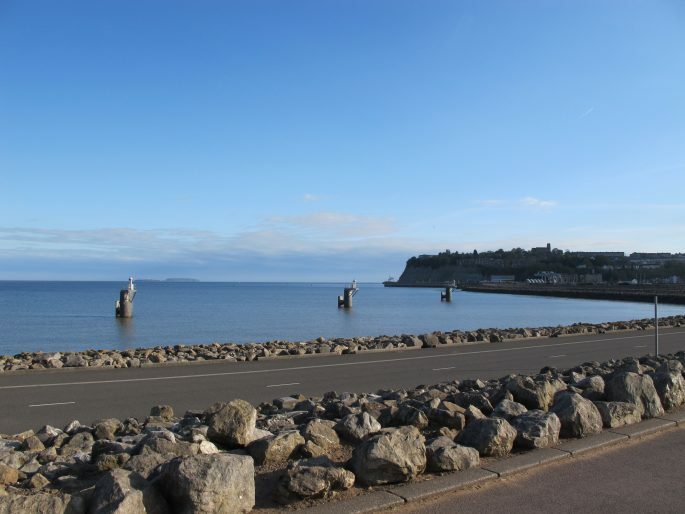 around Cardiff city and the bay area, all of which can be reached on foot…. 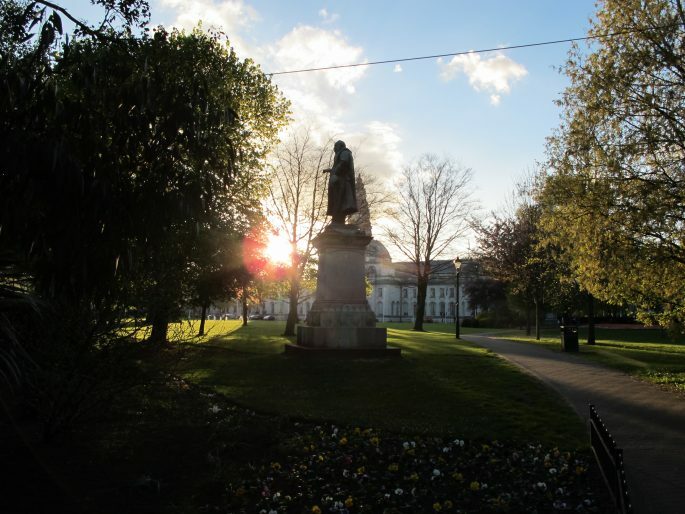 This guide to a weekend in Cardiff tells you EVERYTHING you need to know to plan your own short break to Glamorgan’s biggest city (and the UK’s 11th largest metropolis), without worrying about bringing your own wheels. 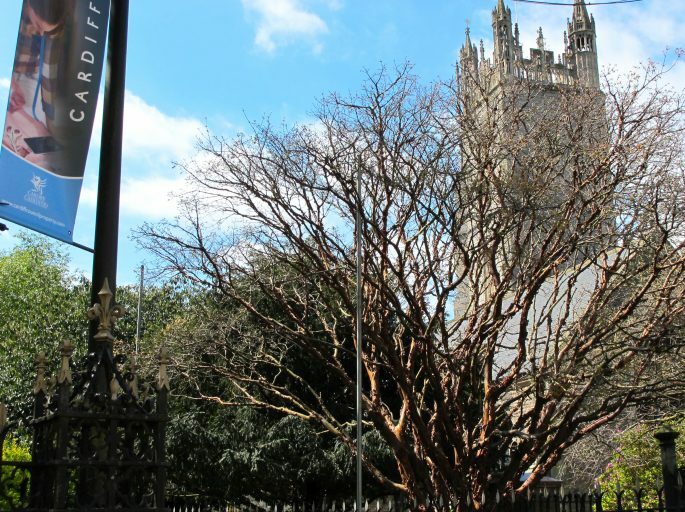 Why Cardiff – and Why No Car? What kind of weekend in Cardiff are we talking here? Once I know I’m heading to Cardiff for a weekend of shopping, art and culture – I take a cursory look at the map of the city, which tells me that almost everything I want to see, do and eat is within very easy walking distance of both the train station and my hotel so I decide to leave the car at home. 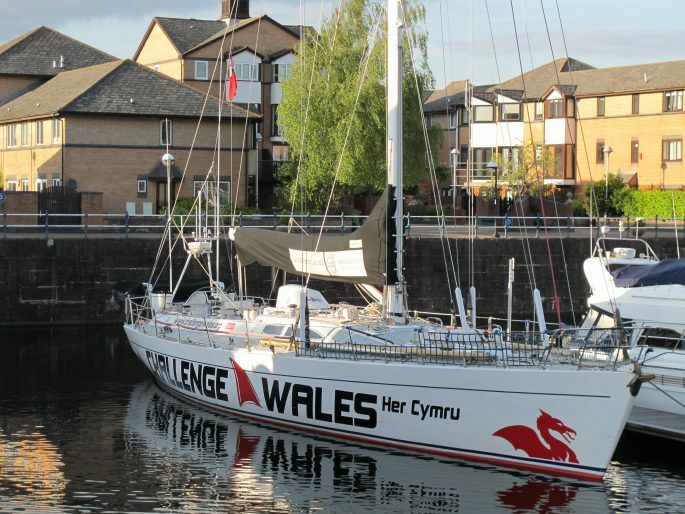 I want to tackle a 48 hour tour of the shops, museums, attractions and cafes of the Welsh capital entirely on foot, and apart from a riverboat ride and one cab back to the hotel I manage it with ease. I don’t wear a pedometer but I must have clocked up some serious mileage; by the end of my weekend in Cardiff I know my way around (almost) like a local, I’ve walked off most of the Welsh cakes I’ve consumed, and I’ve stumbled on almost every place my research told me was worth seeing in the Welsh city. 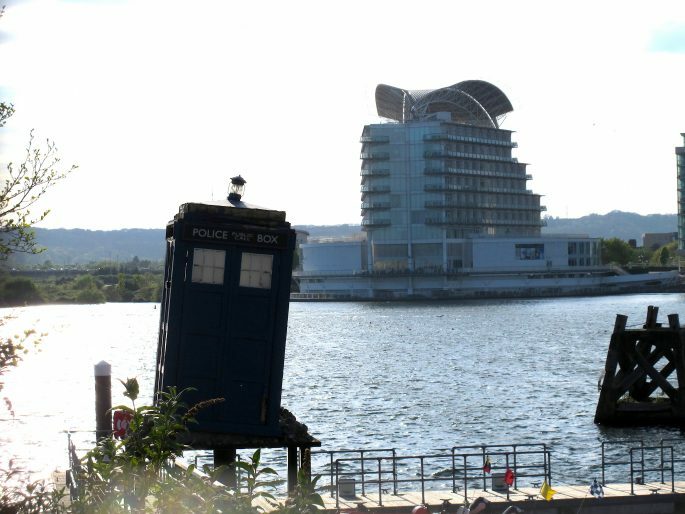 I conclude that walking is the perfect way to see Cardiff. 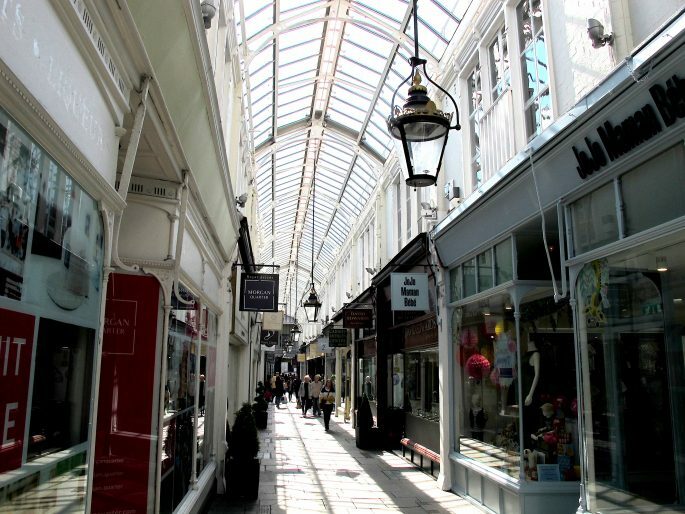 So come with me on a pedestrianised potter around Cardiff’s shops and attractions. This is a great weekend away for urban explorers, especially those who want to combine both consumerism and culture and like to get active by walking everywhere – and not just in the urban city centre itself; the regenerated Bay area is a promenaders’ delight. 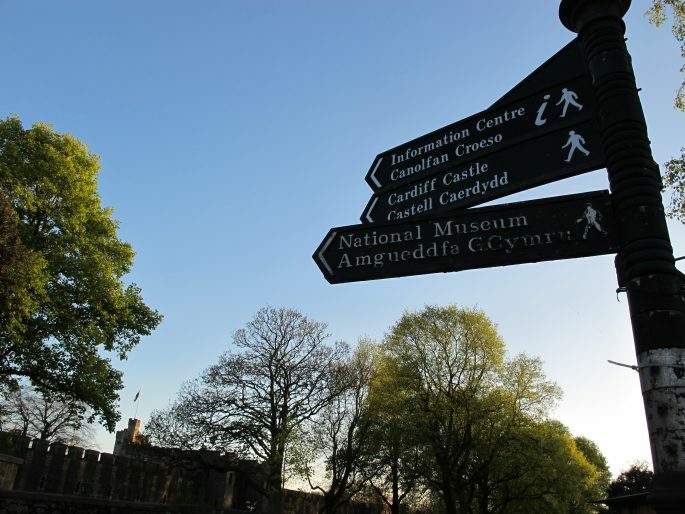 This is classic city break stuff – shopping, museums, afternoon tea, history, art, coffee shops, castles, it’s all here in Cardiff. 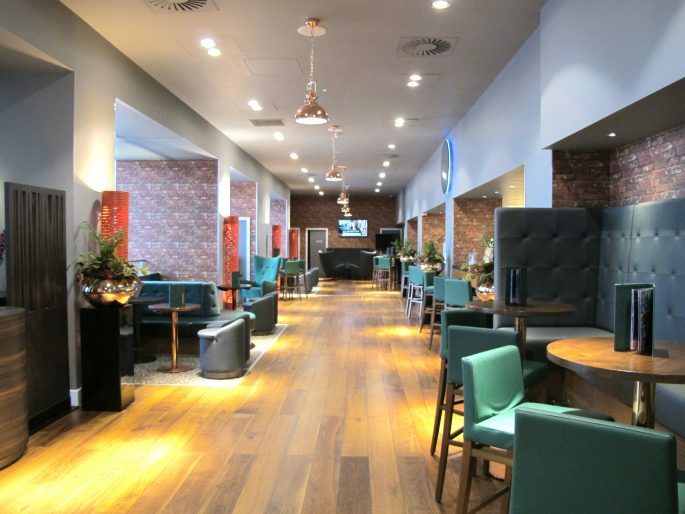 I arrive by train and walk a couple of minutes to my hotel – the Radisson Blu Cardiff. I can see a few other big name hotels on the same block and conclude that this is a prime spot in which to stay. 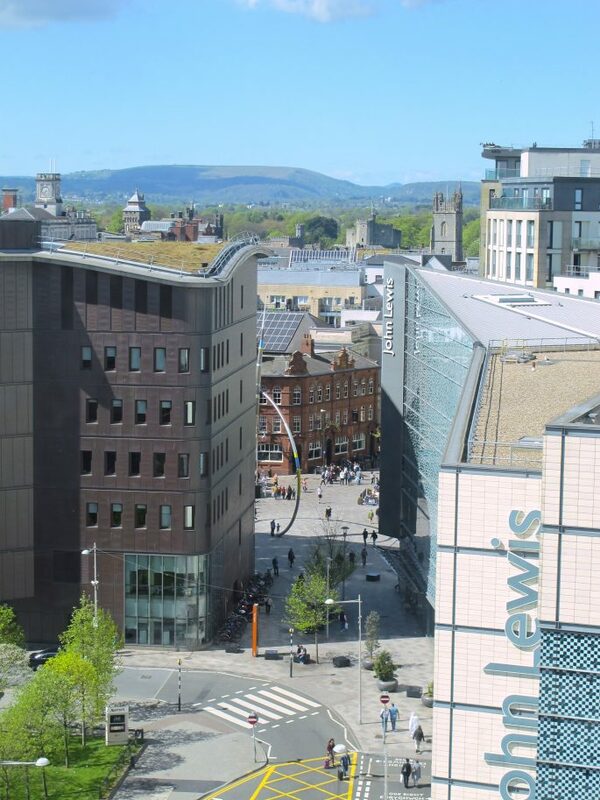 On check in I discover that I can see the train station as well as most of Cardiff city centre from the room, and it also has panoramic views of John Lewis (literally my mothership) which I find oddly comforting. Almost anywhere you want to go is an easy walk away. 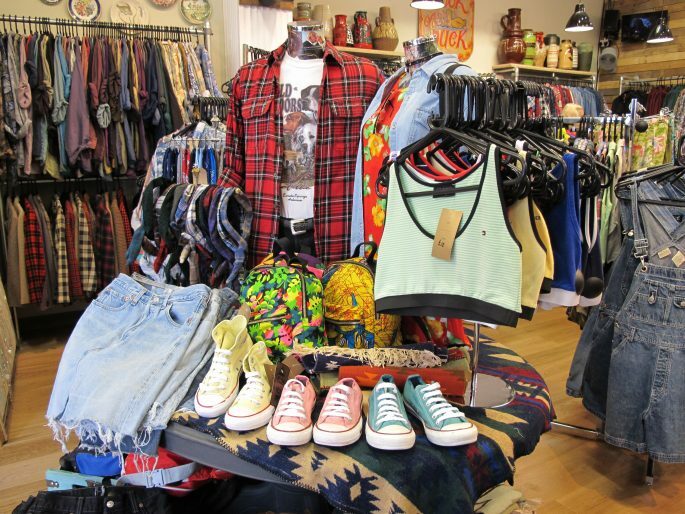 Every British high street shop I know and love (as well as a few I had forgotten about) are nicely laid out in front of me and I waste no time in donning my walking shoes and getting out there. 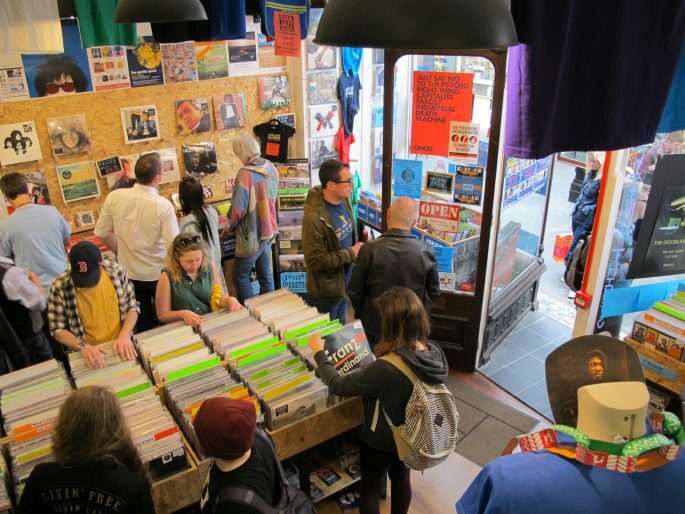 I’ve heard about the Victorian and Edwardian glass-roofed shopping arcades and other cool indie stores in Cardiff – and the city is home to the oldest record shop in the world, Spillers. What I’m not prepared for is that almost all the cool shops are actually IN the arcades so it makes shopping here an absolute piece of cake, you could literally do it blindfolded (but you might buy some questionable items). 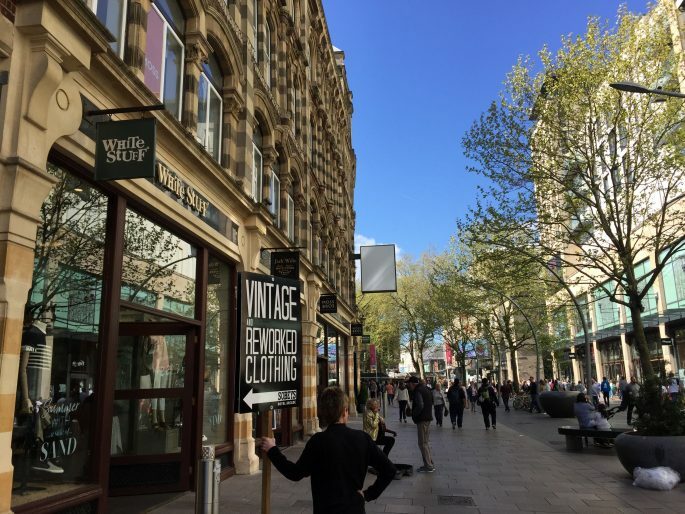 Cardiff really offers the most pain-free high street shopping I’ve ever found – most of the city centre is pedestrianised and there’s lots of street furniture and benches at every turn, so you can rest your legs easily. 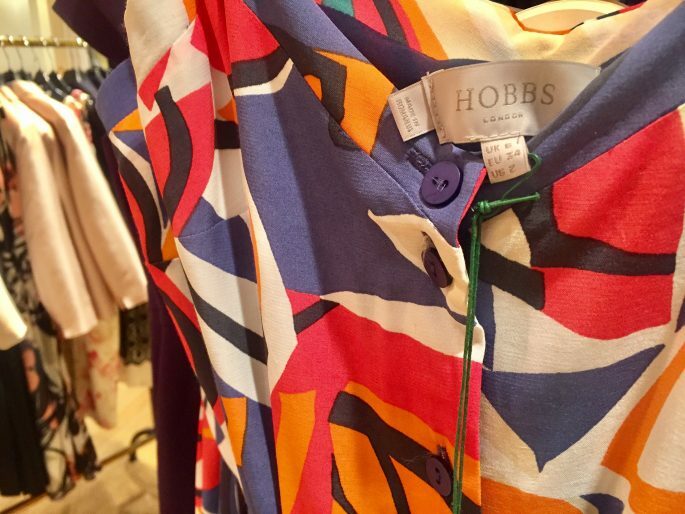 All the shops you’d expect are along Queen Street and I make a beeline for one of my favourite places to shop, the TK Maxx before looking around St. David’s Shopping Centre. 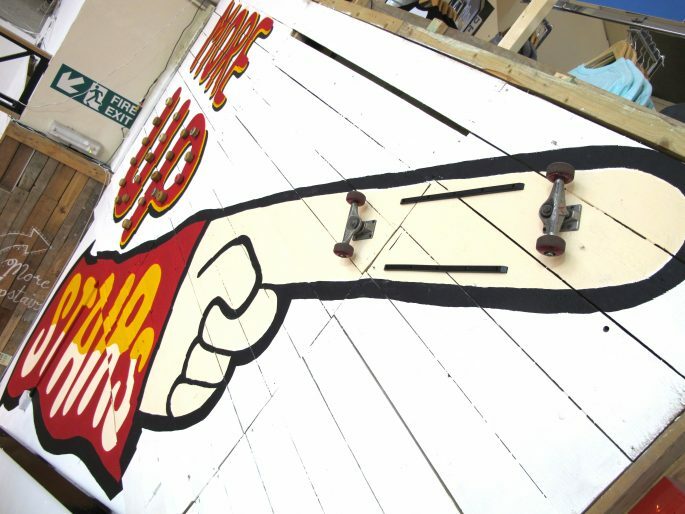 Here you’ll get a great introduction to Cardiff’s much-loved cult label, I Loves The ‘Diff (the ‘Diff is local slang for Cardiff) they specialise in Cardiffornia – plays on words with all things Welsh, which you’ll see on everything from mugs and gift cards to t-shirts all over the city, but there’s a giant poster in the shopping centre that’s pun-tastic and well worth checking out. Close to the castle, on the edgy and alternative Womanby Street lies the antithesis of the high street stores: The Castle Emporium is an indoor market that’s more East London than Oxford Street and a place where you can pick up a useful and beautifully designed map of the independent retailers in the city, which is a great thing to have for your weekend in Cardiff. 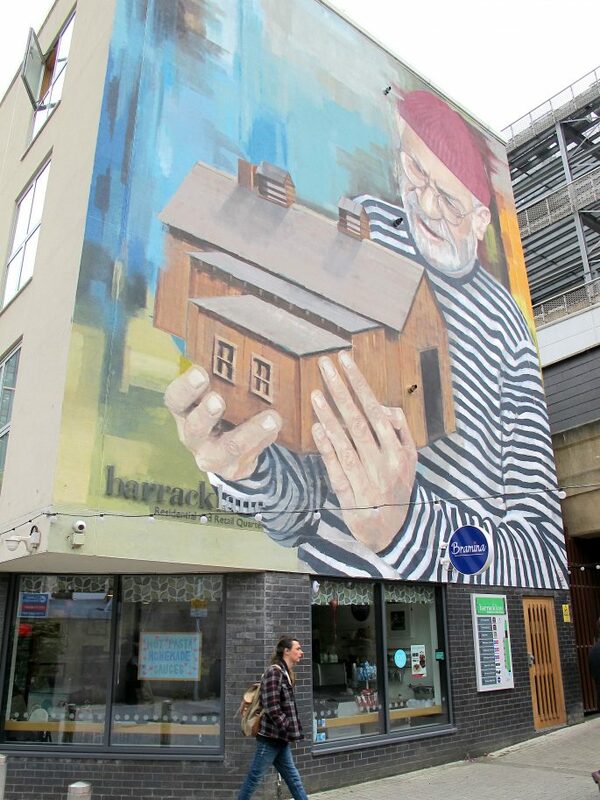 Soaking up the lively atmosphere on Cardiff’s streets at the weekend is worth the trip in its own right: I hear a busker belt out Joylene, while families and friends shop and the hen and stag parties get started (this will entertain you much more later on) and laughter tumbles out of pubs and cafes. If you want to get caffeinated the award winning roasteries like Uncommon Ground and The Plan are both super central in the Morgan Arcade. 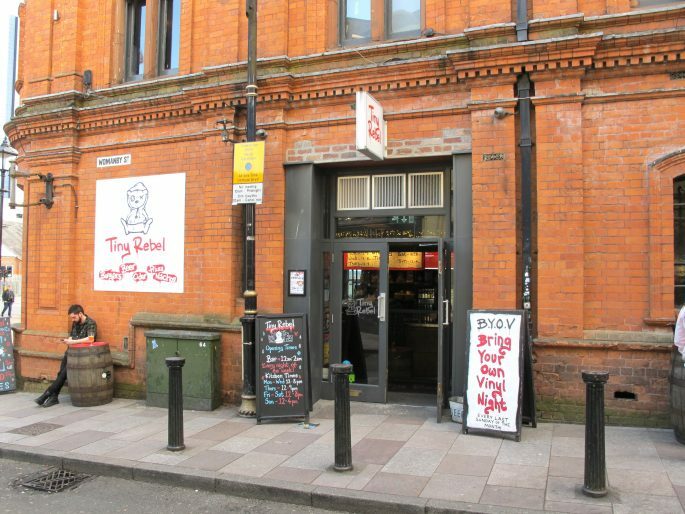 I grab a quick (and very high quality) coffee here and head into Spillers Records (though I spy lots of other places for coffee in Cardiff). 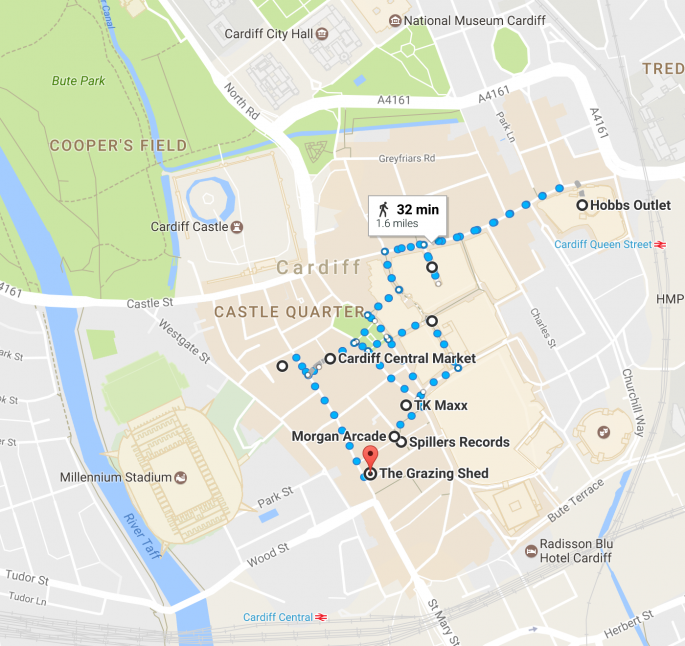 It’s actually Record Store Day on my visit so the shop is thronging with people while a DJ plays upstairs and it’s a real feast for the senses, and I love the anti-Trump merchandise, original posters from 60’s gigs, so if you’re a music fan this will make your trip to Cardiff even more memorable. With so much good shopping on offer I nearly walk straight past the bland-looking Capital Shopping Centre but as Cardiff’s Hobbs Outlet is hidden inside, one of only a handful of Hobbs Outlet stores in the UK, I pop in and predictably come out clutching a new clutch bag which was £22 instead of £59 (because I really needed to add to my 30-strong evening bag collection!) as well as a nice wrap dress. 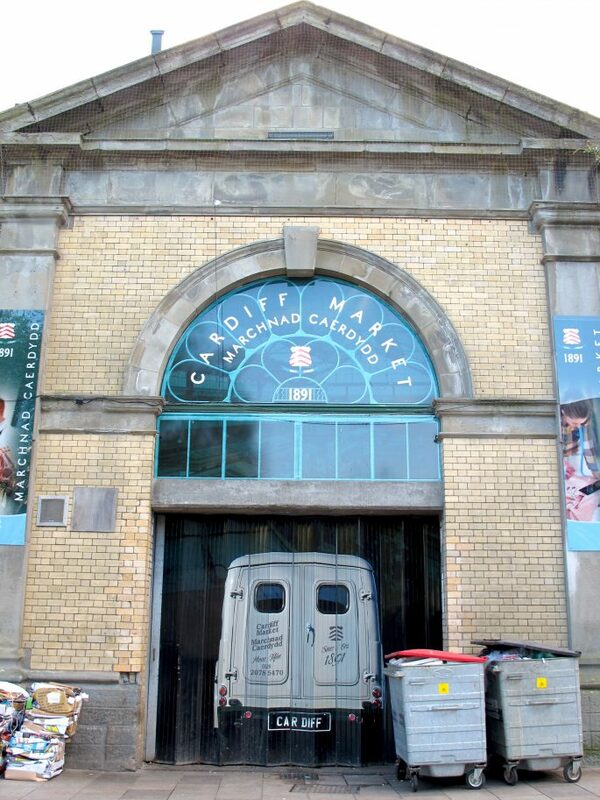 By now you might be in need of some sustenance – I’ve heard that the Cardiff Central Market has great Welsh Cakes so I head over there – and this is where the walking comes in useful, because the traditional Welsh snacks taste great for a reason: they’re packed with fat and sugar. Yum. I buy 6 (ONLY because they come in batches of 6, not because I’m greedy, ok?) and munch on them as I meander around the city. Trying to pose with my brethren, King Tut – can you see the resemblance? The sound of laughter really is everywhere on my weekend in Cardiff and it seems like everyone’s having fun. 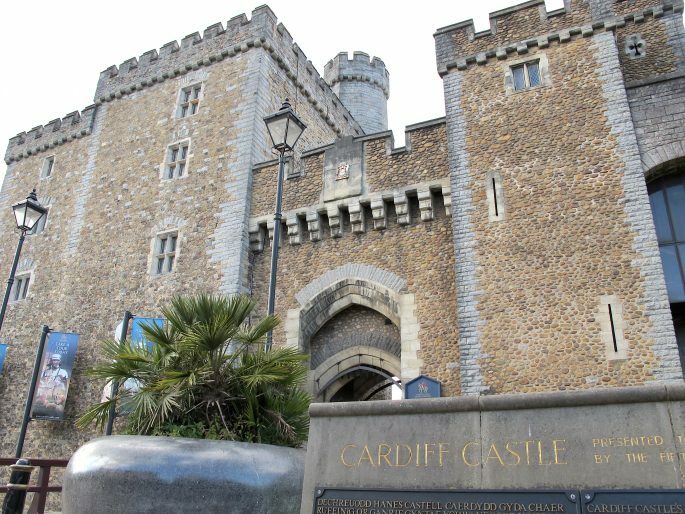 If you’re here with friends you can have some fun of a slightly more organised kind at one of Cardiff’s five escape rooms. 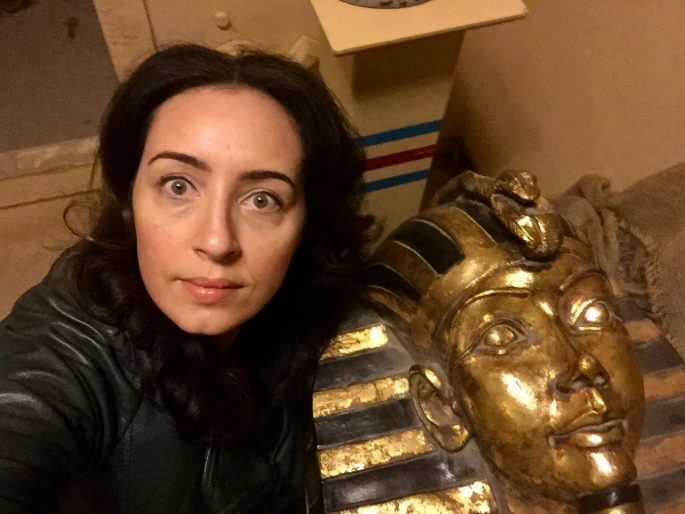 These are really popular with hen and stag parties as well as groups of friends and I get to try out the Egyptian themed room at Escape Rooms Cardiff. 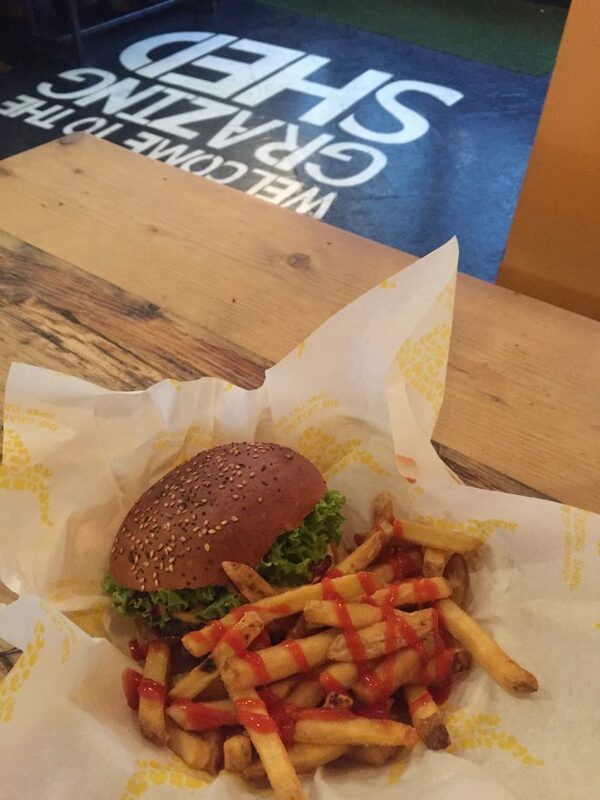 I planned to try one of the exciting ethnic food options on City Road and I had my eye on Asador 44, but after a day of heavy shopping the temptation to stop in at The Grazing Shed, with it’s title of Wales’ Number 1 burger joint, proves too much for me so I have the ‘John Wayne’ for dinner and I’d do it again in a heartbeat. It’s worth staying out until evening to take in the free shows on the streets of Cardiff on a Saturday night: I’m talking about the hen and stag parties of course. The costumes are absolutely amazing – one girl group I see are dressed as different Disney princesses, another as female golfers complete with giant inflatable clubs. The guys make a massive effort too: there’s a chap in a Stetson and full Western clothes, yup he’s dressed as a cowgirl. And these are the more tame examples. It’s officially time for me to go back to the hotel. 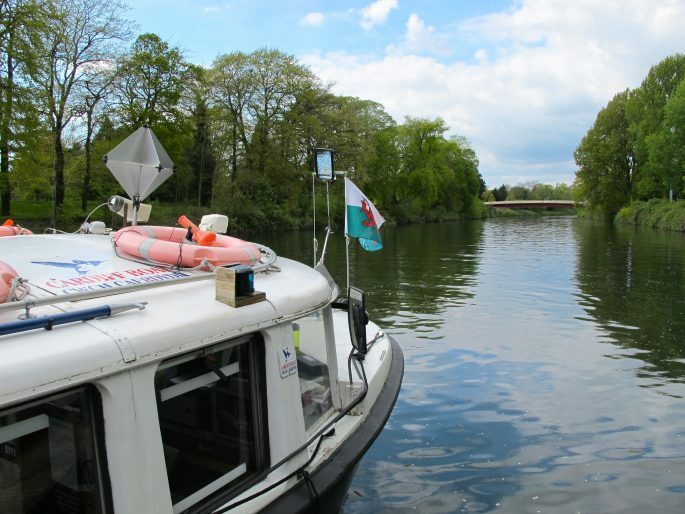 Today’s route – the middle bit can be done by boat though! After a really good breakfast at the hotel, it’s more on foot exploring – after yesterday’s consumerism, today is all about the culture. I intend to see as much as I can around the city and I want to take a riverboat to the bay so I get an early(ish) start. 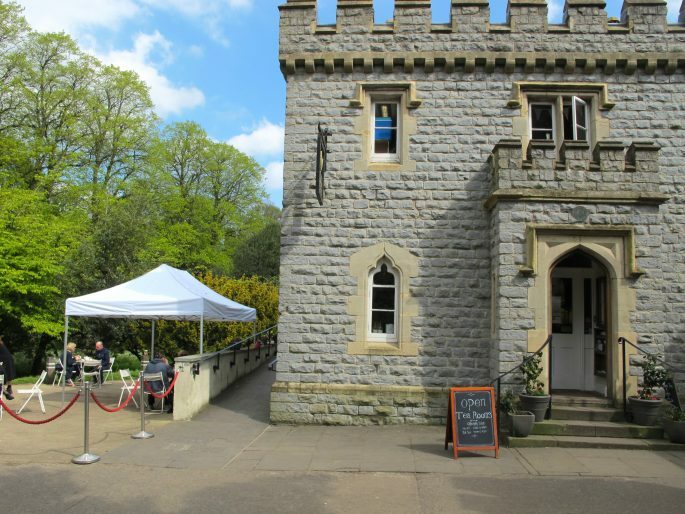 I check out views of the castle (from the outside only, I don’t want to go in as I have a lot to see) and have a walk through the park surrounding it – Bute Park – as it’s such a nice day. 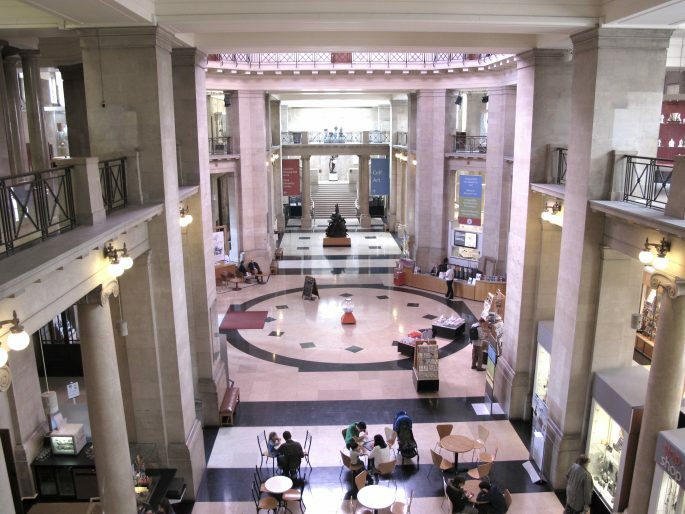 Cardiff is no slouch in the museum and gallery department – and if ‘exit through the gift shop’ is your life’s philosophy as it is mine, you won’t be disappointed. There have even been a few times when I’ve visited the gift shop and skipped the museum, but don’t tell anyone. 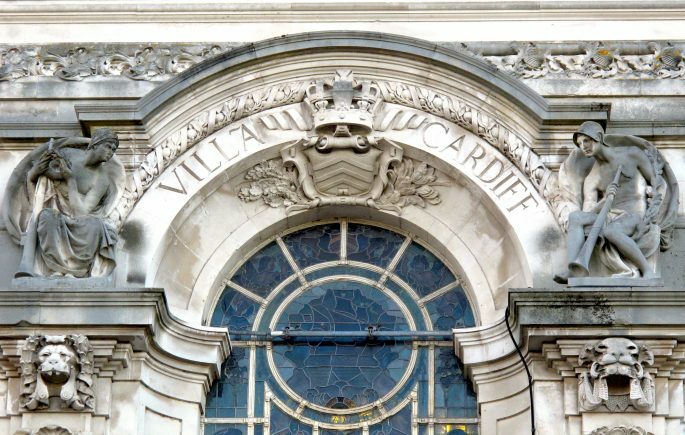 The National Museum of Cardiff (free entry) has a dangerously good boutique which lives up to expectations even after the impressive permanent collections on display, which include an exhaustive array of Welsh ceramics. 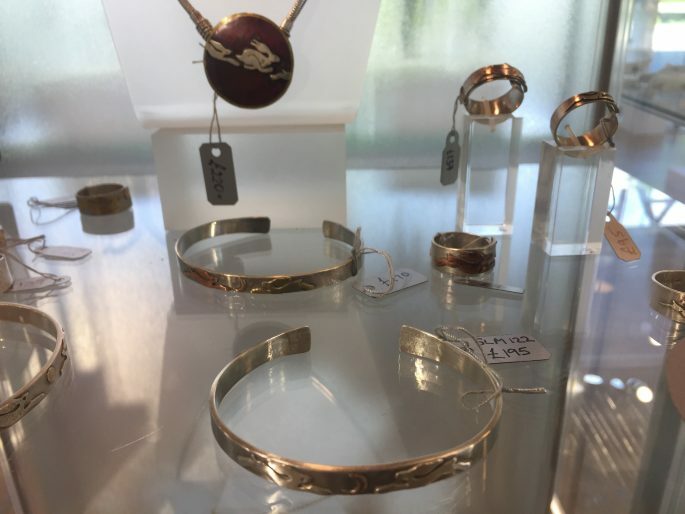 Visit as I did right at the end of a temporary exhibition, and you’ll find the merchandise at reduced prices (see, dangerous). 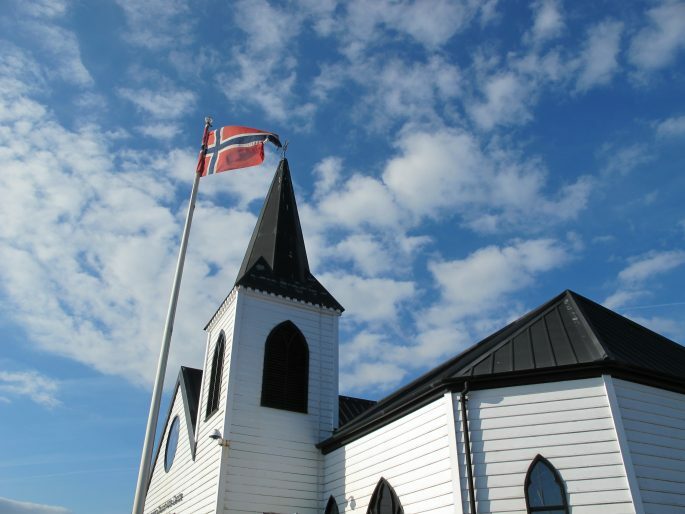 The museum is open on Sundays but closed on Mondays so don’t put off until tomorrow what you can do today. 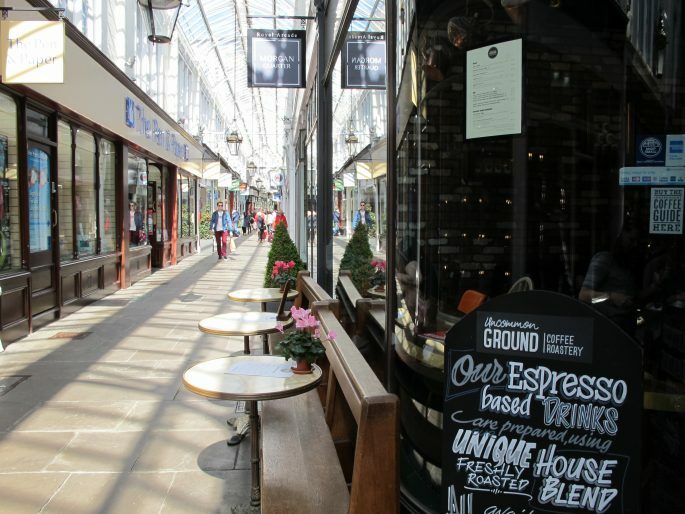 Caffeine fans are well catered for on a weekend in Cardiff, but if a cuppa and some accompanying carbs is more your style there’s a few options for lunch like Waterloo Tea. 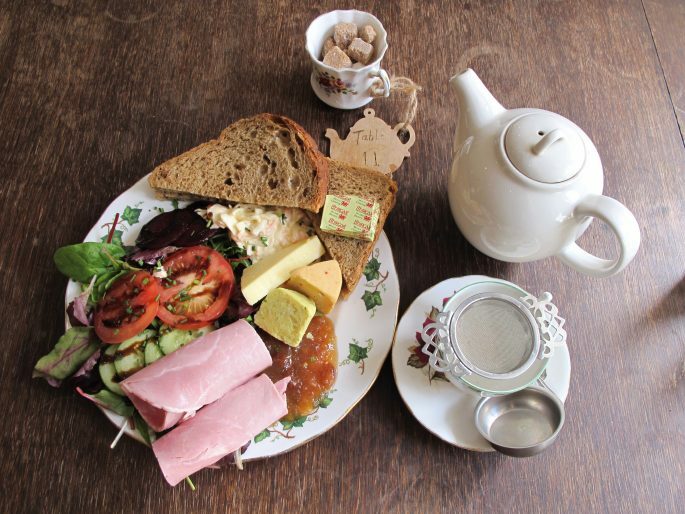 I fancy Pettigrew Tea Rooms for pure its Britishness – like bunting and mismatched china – plus its proximity to the boat to the Bay which I want to catch right after lunch. 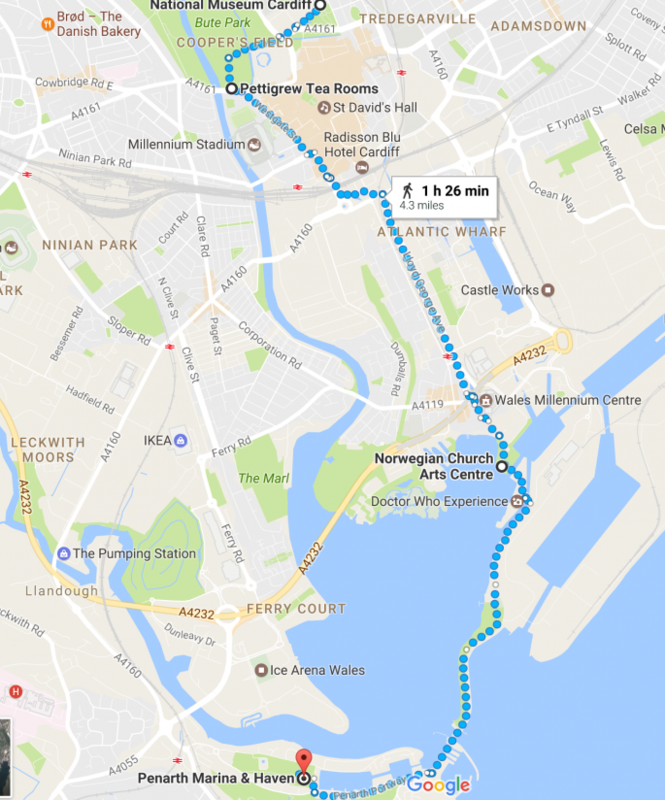 The Bay’s waterfront area is easily a full day out in its own right but I am happy enough to take the mid-afternoon boat to see the Millennium Centre, The Senedd (the National Assembly For Wales) and The Norwegian Church (where Roald Dahl was baptised) and have a pleasant little mooch. 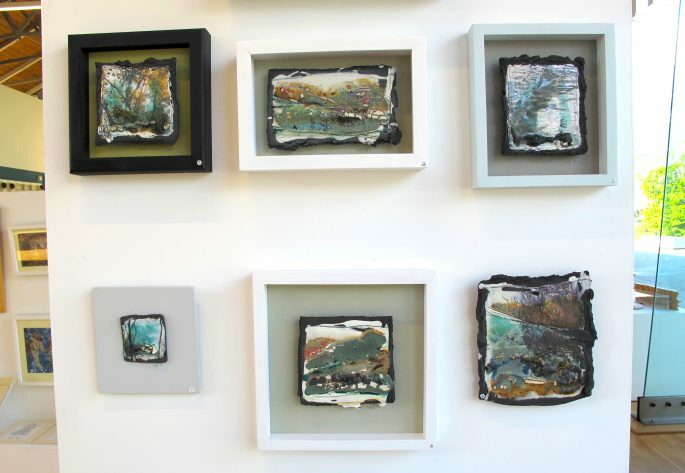 If you want to take a slice of Welsh creativity home with you check out Craft In The Bay a modern glass building which is home to arts and crafts from local designers. 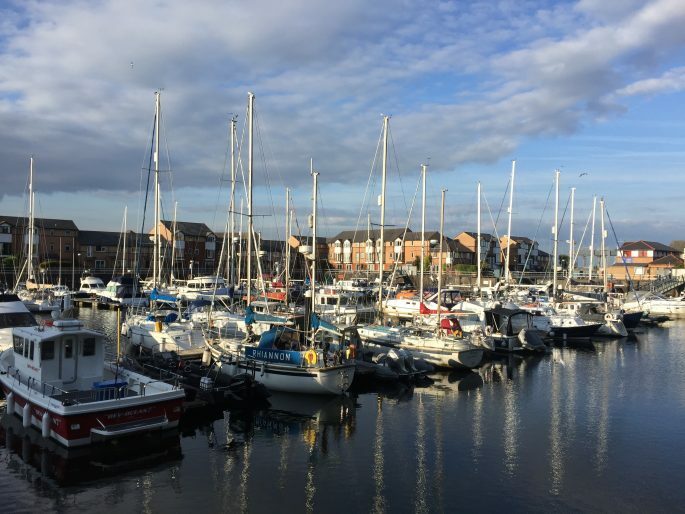 The renovation of the docks area in Cardiff has made this a great place for people to get together on a summer’s day, eat an ice cream, and have a promenade; it’s a relaxed and family-friendly vibe. Though mostly home to chain restaurants, which is usually the way with renovated areas like this, there are also some independent cafes and for startling good value authentic Italian food with harbour views San Martinos is the place to get an early supper. As boat services back to the city wind down by late afternoon, I am not sure how I’ll get back so I just keep walking. This seems like a popular place for Cardiff folk to come for a Sunday stroll so I follow the locals and continue on to The Barrage the structure which allowed the regeneration of Cardiff’s docks. Without cheating with a boat ride it would have been an hour’s walk from the city so feeling like I can walk more and press on to picturesque Penarth – it’s amazing to think you can have such a varied weekend in one city. Once the sun goes down I decide to splurge on a cab back to the hotel, I’ve walked about 3 miles today and I’m happy to sit down. 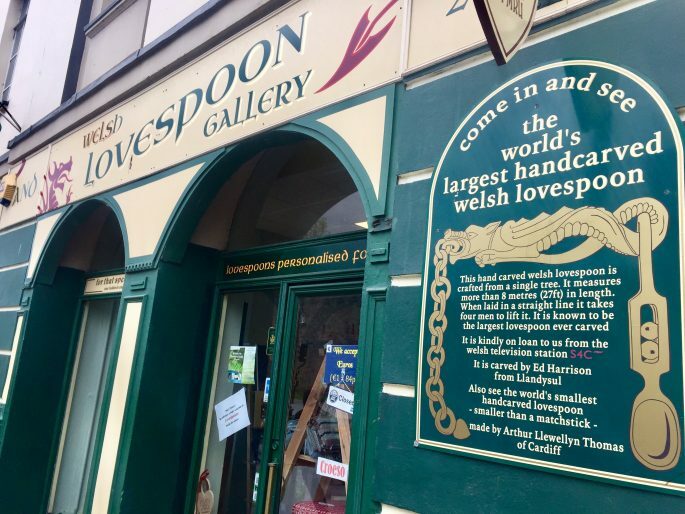 The souvenirs are one of my favourite parts of a trip – and the obvious place for souvenir shopping is by the castle – where you can have Welsh Love Spoons carved on the spot for free. 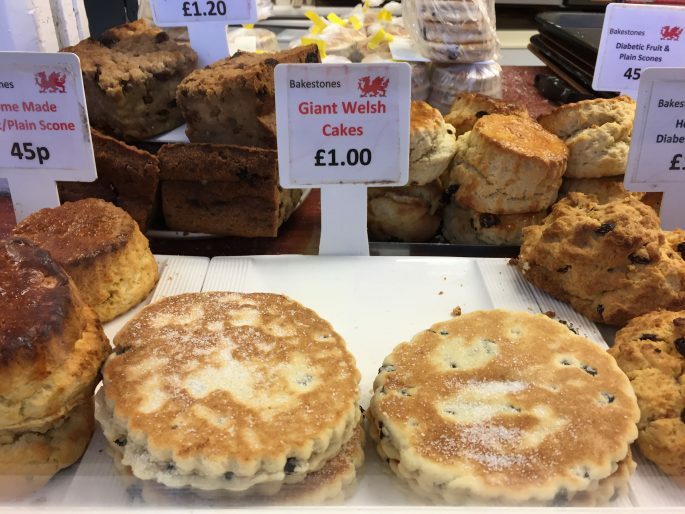 If you want something tasty to actually put on the spoon, pick up Welsh produce from legendary emporium Wally’s Deli or stock up on the cheap back at the Cardiff Central Market, which does great value welsh cakes, the perfect portable snack for your journey home. Fabulous Welshcakes down toward the Bay at Mermaid Quay have a reputation for the being the best in town. I booked a train for around lunchtime so that I could check out, leave my suitcase with reception and do one last dash around the city to pick up treats, and as the train station is so close by it was a 100% stress free morning. Cardiff’s compact and largely pedestrianised city centre has a perfectly positioned train station a short walk from the action, so after umming and ahhing over whether to drive to Cardiff for the weekend or take the train I took the easy option and booked a train ticket. Driving might be little bit quicker depending on where you’re coming from (it’s about a 2-3 hour drive from London) but if you’re already slightly West then a direct train can take less than 2 hours. 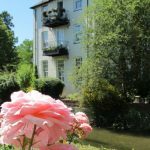 Once settled in my seat for the journey with a drink in my hand, watching the built-up Reading suburbs give way to endless Welsh fields I was glad I didn’t have to worry about changing lanes or looking for exits and parking spaces for a whole weekend. I noticed a couple of NCP car parks a stone’s throw away from the Radisson so finding a spot to leave my car wouldn’t have actually been an issue but I never would have got all that walking done if I’d come by car. 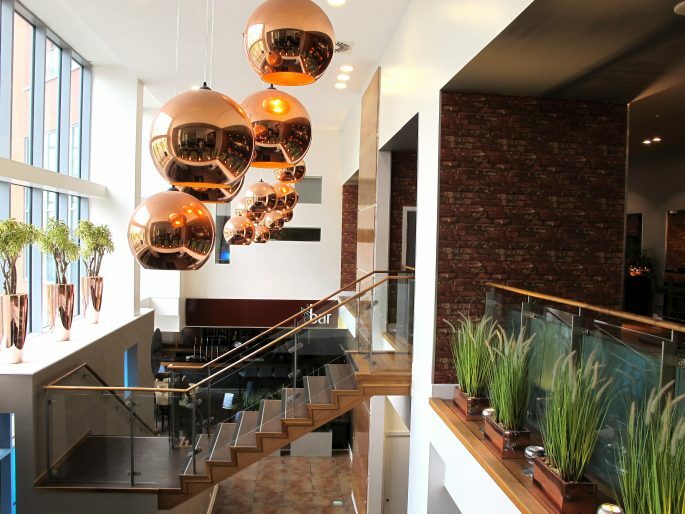 Cardiff city centre is packed with well-placed hotels but the Radisson Blu Cardiff couldn’t be better positioned and its ultra-convenient location on the edge of the pedestrian zone makes it ideal if you want to walk everywhere. I could see John Lewis from my bed; literally a dream come true. 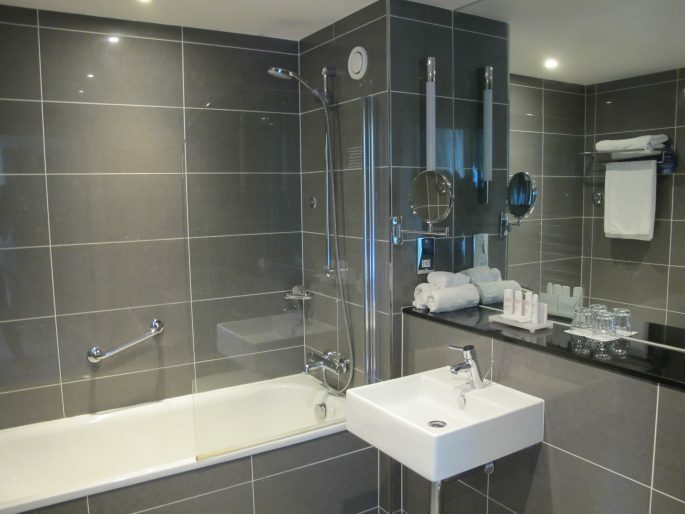 The actual room was very clean, really spacious and contemporary in decor. 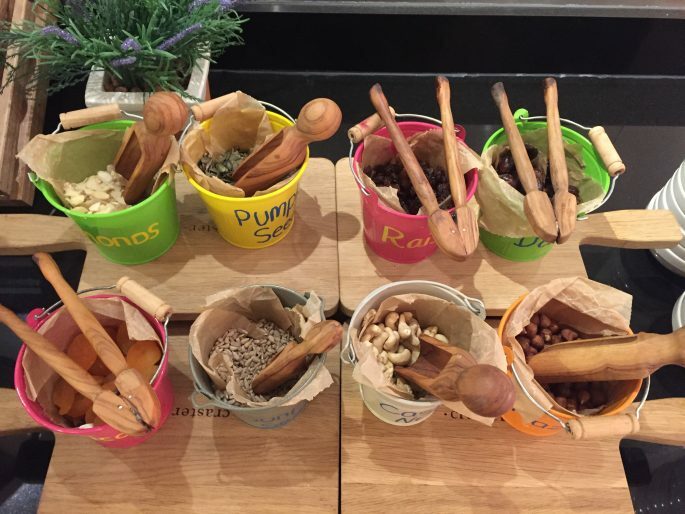 The thorough breakfast buffet was a revelation; knowing you’ll be shopping ‘til you drop makes a good start to the day essential, so I was happy to find healthy options as well as a Full English on the menu. 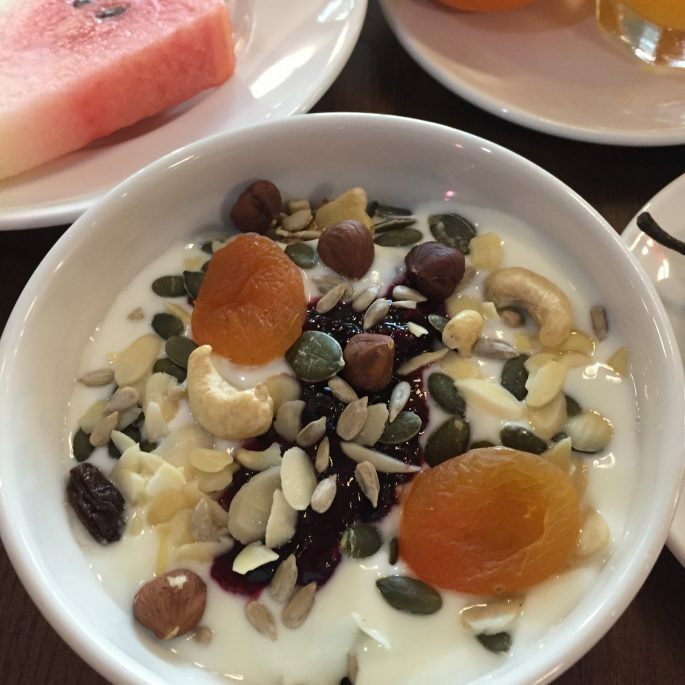 As I stayed 2 nights I had one naughty day where I feasted on the cooked brekkie and then one healthy day with muesli and fruit. 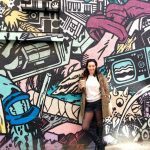 This guide to a weekend in Cardiff was made possible by LateRooms.com who invited me to visit and write about Cardiff as part of their #LateRoomsAdventures campaign – you can see more blog posts on Cardiff and other destinations by following the hashtag on social media.